The Ministry of Education project brief made some very clear and ambitious plans, as part of the new “Initiatives for School Property”. This initiative gave the Ministry the opportunity to establish Modern Learning Environments (MLE) aligned to education polices. MLE is a policy of aligning pedagogy and the space in which it will be delivered. It consists of a set of both pragmatic (considerations given to achieve in all educational spaces) and philosophical (considerations driven from the aspirations and visions of student and school groups) educational concerns. The school was conceived as a series of large open studios, or ‘Learning Commons’. 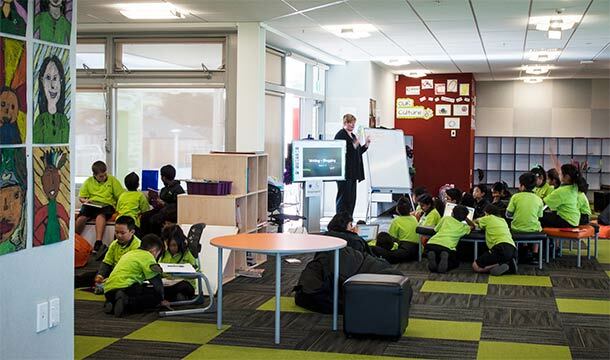 The new Ormiston Primary School, Stage 1, comprising a Multi-Function Hall, Administration Zone, Library and 4 Modern Learning Commons, enabled an initial teaching accommodation for 375 students. 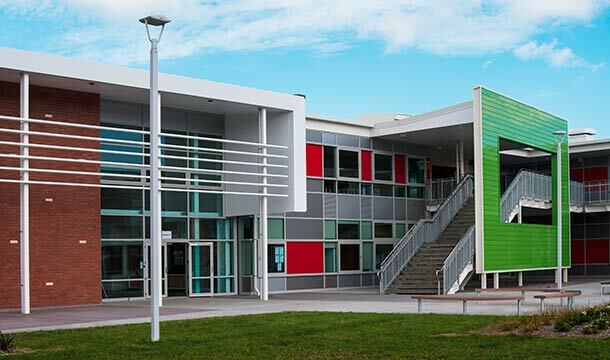 The brief also enabled the project team to make valuable contributions, in this rare opportunity to provide Year 1-6 primary school, incorporating a satellite unit for the Kelston Deaf Education Centre. 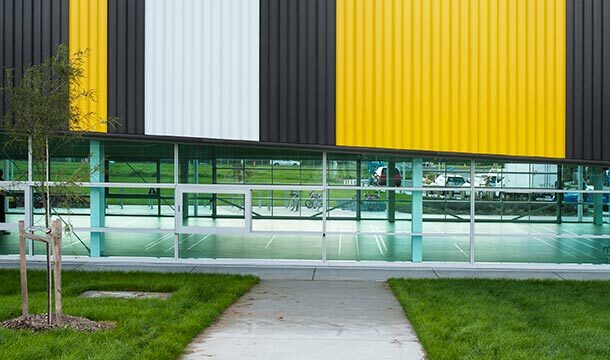 The 2800m2 facility created a sustainable, structural and environmentally sound school that met all the needs of modern learning. The project had an extremely tight programme, which required the project team to hit the ground running. The adopted procurement route was a two-stage approach which enabled fast track design and construction. 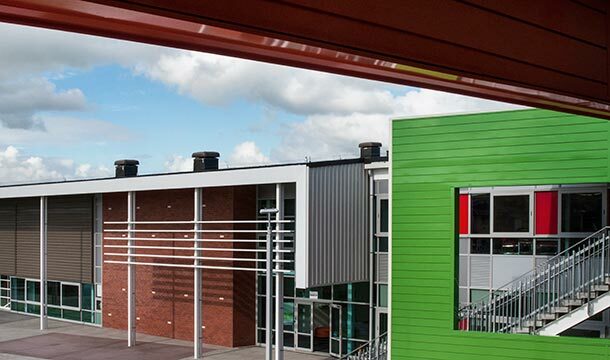 It enabled an early start on site for the civil component and achieved a Guaranteed Maximum Price (GMP) early in design and introduced the main Contractor into the design process to address issues of buildability, programming and market supply. This procurement route fostered a more cooperative approach between the design and construction teams. The GMP option also gave the Ministry early cost certainty. Clear decision making was a fundamental requirement in determining the appropriate sustainable features for the school. The remit was to achieve Greenstar rating 5, which signifies New Zealand Excellence. There is only one higher category, World Leadership. Ormiston Primary School achieved Greenstar 5. 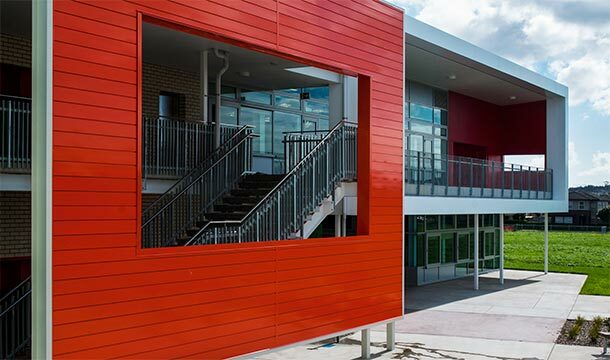 A truly state of the art learning facility, achieving the completion of a new school which will serve the local community well into the 21st century. RDT Pacific is proud of leading the delivery of this project, on behalf of the Ministry of Education. 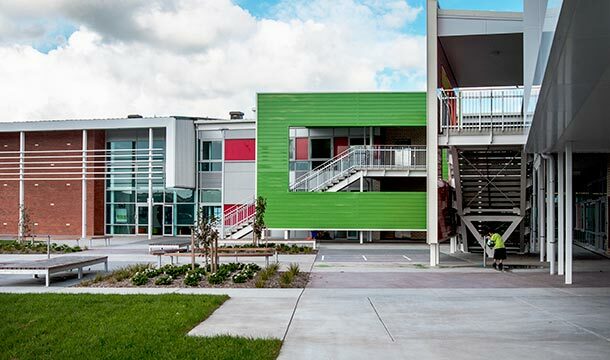 Ormiston Primary School was recognised with Award of Merit at the 2015 Property Council New Zealand Awards.